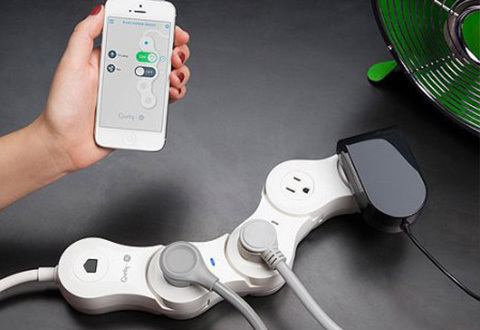 The Control From Anywhere Pivoting Power Strip is the app-enabled surge protector that bends to fit every sized plug. 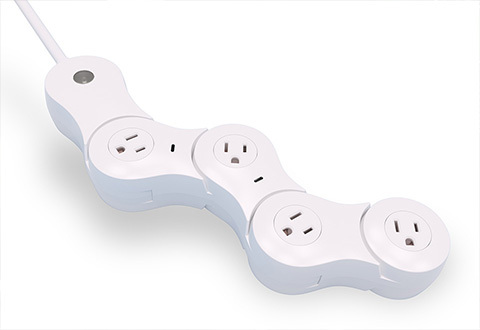 The four AC outlets pivot, so you can plug in bulky adapters, like those for computers, printers and other equipment. 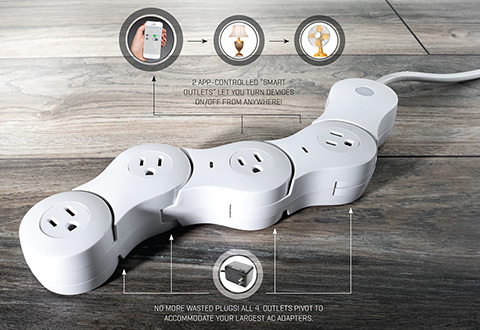 Download a free app to control two outlets from anywhere in the world. Compatible with iPhone/iPad (iOS 8.0+), Galaxy/Android (OS 4.1+), Amazon Alexa and Google Home. 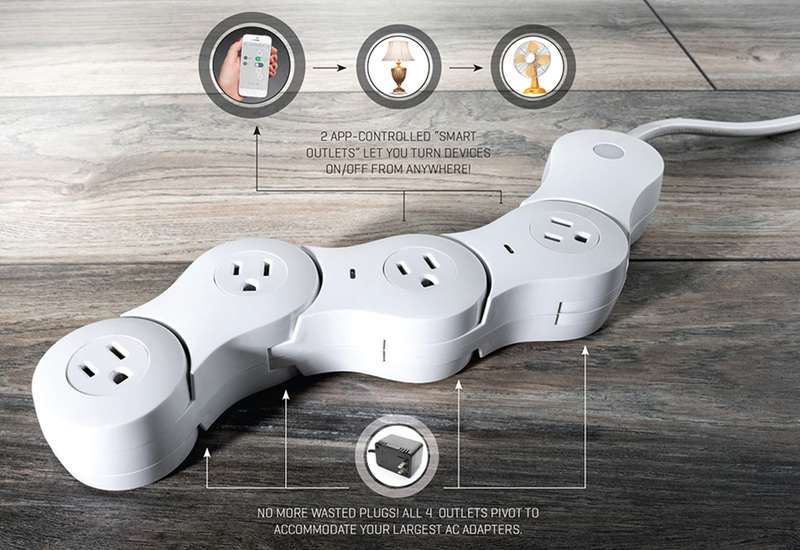 The Control From Anywhere Pivoting Power Strip is the app-enabled surge protector that bends to fit every sized plug and adapter, so there are no wasted outlets. Control the outlets with your phone, so you can turn appliances on and off from anywhere in the world.